When Fall is knocking at the door and the school supply list is tape to the refrigerator it reminds me that Fall Festivals and many other fund raising events will start happening. Every year I gather up my tools and get ready to create themed baskets for the different school and charity events. 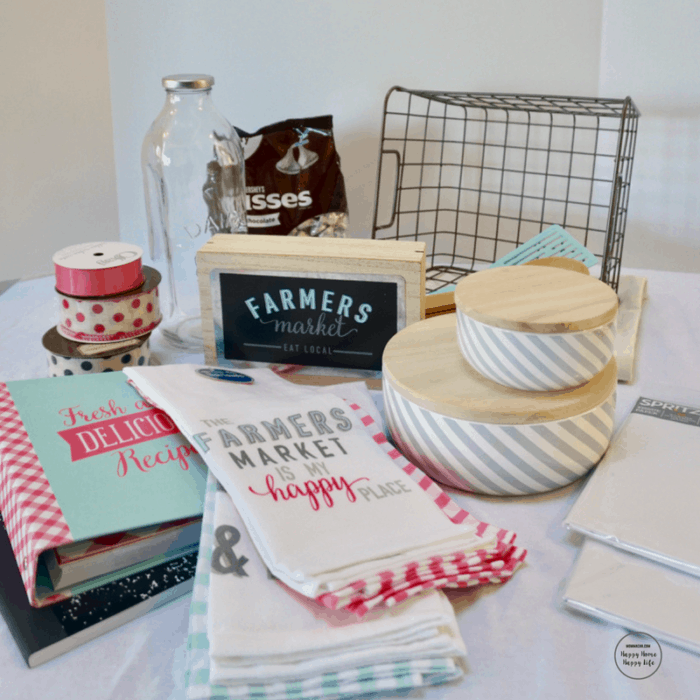 I have so much fun choosing ribbons, shopping for baskets, bins, and trays, and gathering all the goodies to fill the baskets. 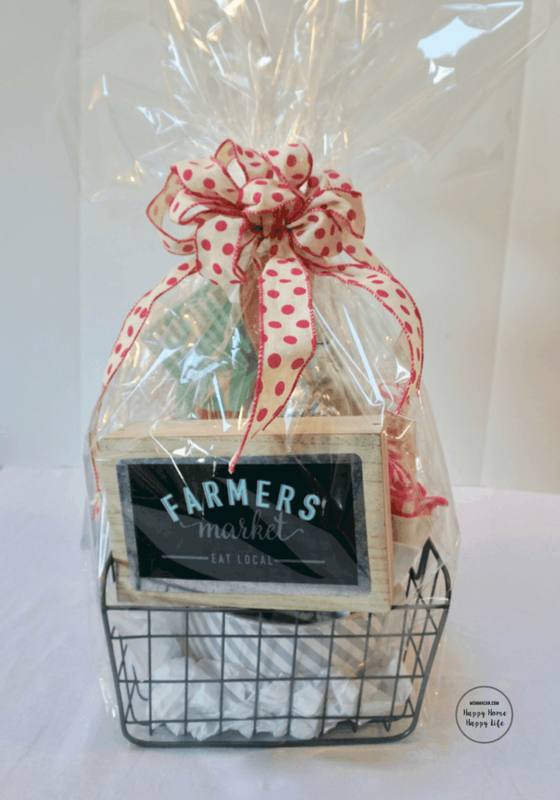 Today I am sharing How To Make A Raffle Basket, but not just a plain ol’ basket filled with blah items and last year’s green Easter grass as filler. 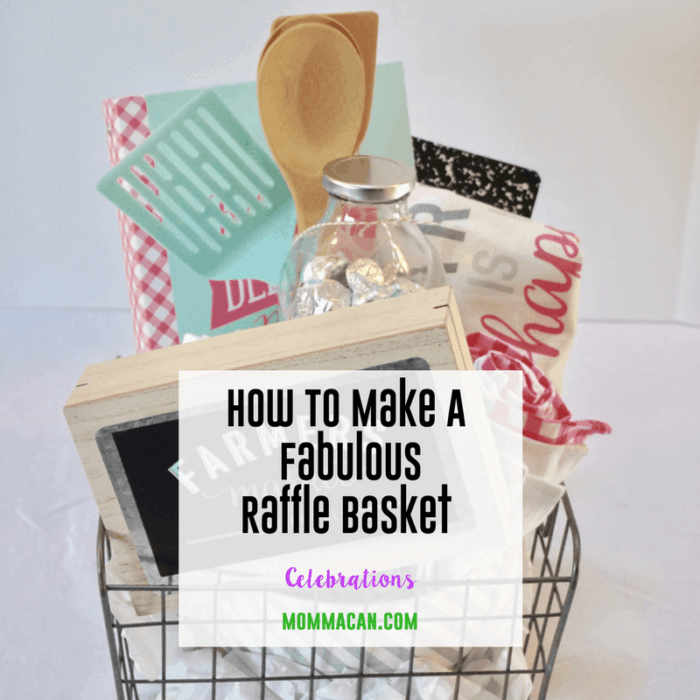 I am going to show you have to make a FABULOUS RAFFLE BASKET! Let’s get started. Psst. 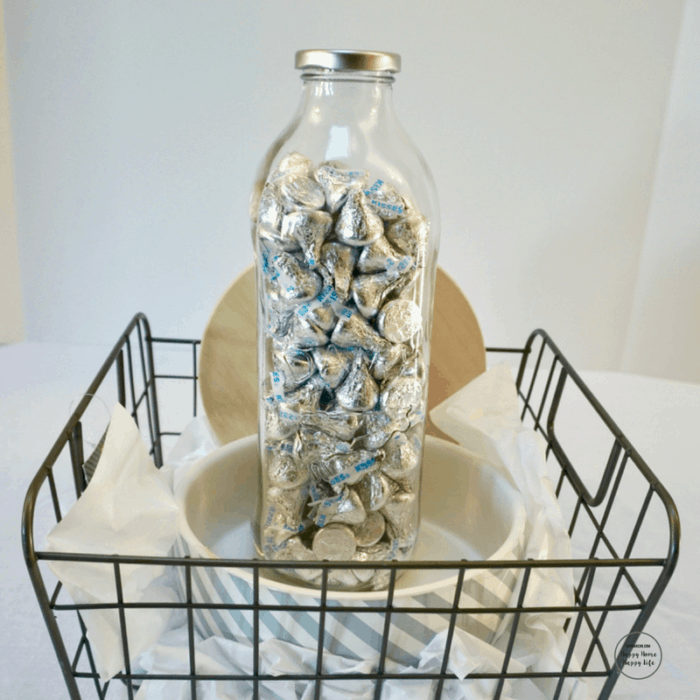 If you are stumped on ideas here is a fabulous list of Raffle Basket Ideas. for Fall! And if you are designing for Spring and Winter check out this list. Find a work place with a large cleared flat surface – a folding table will work nicely. Grab your basket and add a layer of tissue paper to create a full surface to begin. Or get fancy and use a scarf, piece of cloth, cotton dish towel, or anything else to create visual interest. If the container is large, add a box, upside down plastic bowl or bucket, or ball up some newspaper and then add your tissue paper or cloth. Begin by placing the heaviest item in the middle of the basket or container. It helps to something that is bright and colorful or that fits with the theme of your basket. Think of this your starting point you will build the rest of the basket around this particular object. Place smaller items near the front. Fill in gaps with small bags of treats or rolled up dish towels in the color of the theme or other soft themed items. Step back and look at your creation, take a walk around to make sure it looks fabulous on all sides. Adjust anything that appears like it is sticking out too much or just does not fit. 10. This is where it gets tricky. If you are using a cellophane bag, ask for help. If you have no one around, remember patience, patience, patience. ( when I am designing solo, I use the cellophane sheets, especially on larger baskets). 11. Cellophane Bags: Open the bag and roll the sides down. Have your partner hold the bag open and you slowly ease the basket inside the bag. Carefully roll up the sides of the cellophane bag. Secure top with ribbon or thin gauge wire. Tuck in any sides sticking out, you may want to use clear tape. 12. Cellophane sheets. Clear your table and carefully place basket aside. 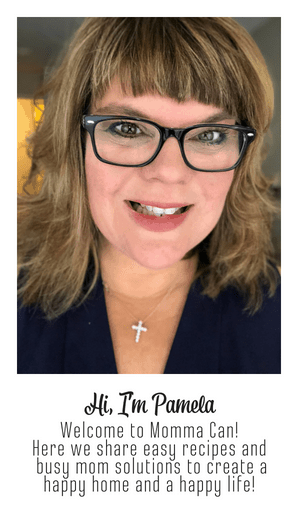 Place your basket on the cellophane and bring one piece of cellophane up so you have 6 to 10 inches extra, above the handle or the gift items. Then measure and cut the other end of cellophane that’s on the roll the same length. When the two pieces meet at the top they should be the same length. 13. Secure with a ribbon or thin gauge wire. Tuck in any sides that are poking out and use clear tape in a way that is hidden. Finish off your basket with a big bow! 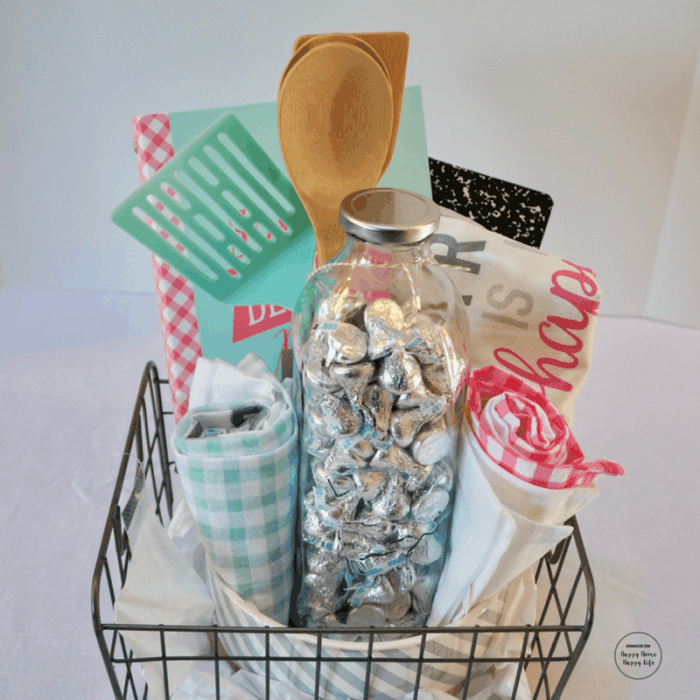 If you really love gift basket we have brand new fabulous list of 250 gift basket ideas! Find it here! Very good step by step tutorial for creating a basket. Placing tall items in the back really gives your basket a presence. I hope that makes sense. The extra height really makes it stand out. Thank you, Leanna! That means a lot because you make fabulous everything! This is such a great idea and one that can really help a good cause. 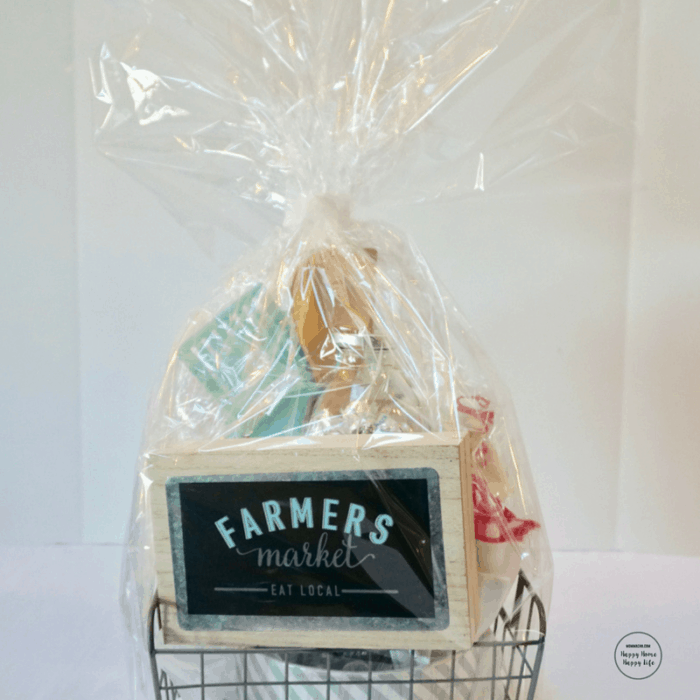 Thanks for the easy-to-follow instructions on how to make a raffle basket! I have done hundreds of raffle baskets in my fundraising life. To make them look truly professional, buy the cellophane bags that can be shrink wrapped with a hair dryer. Much neater!